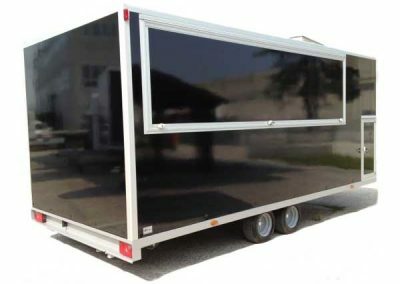 Having a trailer for itinerant sales allows you to have available, at a low cost, the start-up for any activity that may be held outdoors or in enclosed spaces, such as trade fairs. 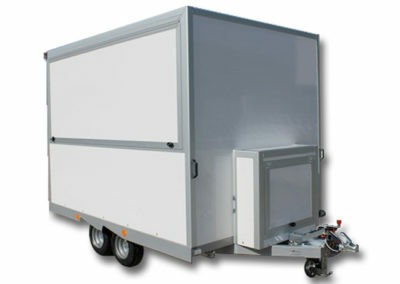 The fibreglass used to make box bodies for our trailers is certified for food usage, according to all EC laws . 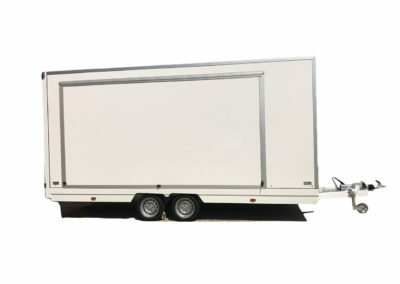 Nowadays, having a trailer for itinerant sales allows people to abandon the old system to use the car to go shopping or to find the cheapest shop: now the cost of petrol and the re-acquired comfort of the shop allows you to find everything under one roof. 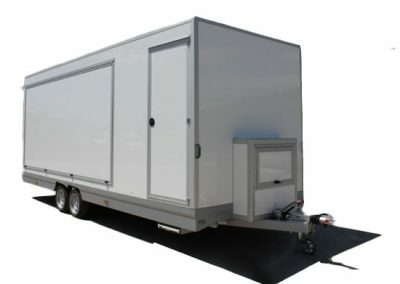 In this section you can find some examples of the customisation that we have done on our trailers for itinerant sales. 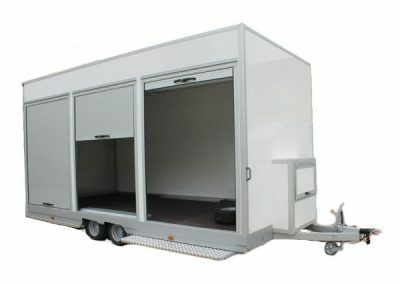 Having over 40 years of experience, frames of all sizes to catalogue and the possibility of craftsmen work, we can provide virtually any type of box body and mobile shop, from small carriages for hot-dogs, to larger ones for fair stands or mobile workshops. The frames and the supporting structure we built using tubular and galvanised sheet, welded together. 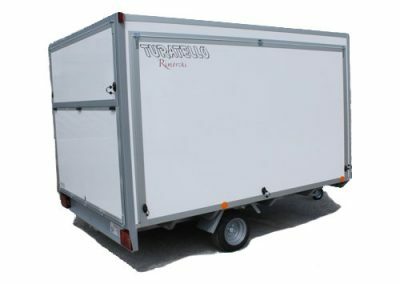 The box bodies are made with insulated panels of fibreglass, parts made of fibreglass shaped from a mould and junction profiles made of anodised aluminium. 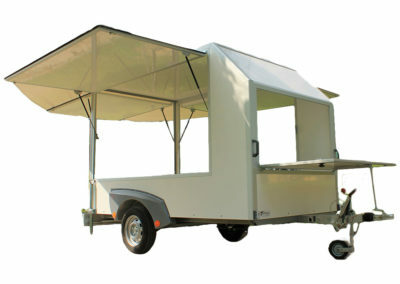 All this ensures robustness, durable and extreme customisation possibilities.